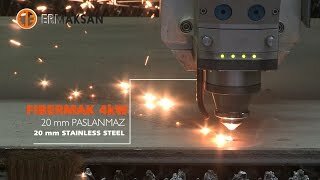 We are solution provider for Şahin Paslanmaz as well in sheet metal machinery. Ermaksan Show in Win Fair! We continue to keep alive Ermaksan’s difference on laser cutting at all four sides of the world. No sheet plate can stand againts this power..
Wind of Ermaksan on far east. Ermaksan made new business connections while attending to ITM Poland Exhibition. Ermaksan exposed his power on machine sector on WIN FAIR. More cutting on high speed per hour with Fibermak machine! With the Fly-cut technology, high speed, high performance and maximum efficiency! By automatic angle alignment feature of 5 axes EPL plasma cutting machine, you can make smooth and perfect bevel cuts, cut conical holes and do 3D cuts. Thus provides easy and precise cuts of your most difficult drawings. Ermaksan continues to present its global power at attended international exhibitions. Ermaksan follows the sector trends at last big international exhibitions held in Serbia, Hungary, Malaysia, Italy and Netherlands by presenting its high-tech products. We were so satisfied from the interests of visitors to our stands and successful results of the fairs. High technology products which are developed with innovative view of Ermaksan engineers, were in the limelight of visitors who visited Intermach fair at the capital city of Thailand. The fair was highly effective & fruitful and Ermaksan continues to increase the current customer portfolio with the new and technological products. Ermaksan took place at the 17th Seoul International Manufacturing Technology Show (SIMTOS 2016) which held between 13th and 17th of April in S.Korea and introduced its innovative technologies to the visitors. Ermaksan machines are liked so much by the visitors as being the most attractive machines of the show in sheet metal working machineries sector. We wish success to company Comelf S.A. e of Romanian well-known companies which we are honored to work with for 14 years on the same path. During its meeting held on 2 April 2016 in İstanbul, the MİB's (Makina İmalatçıları Birliği, The Association of Turkish Machine Manufacturers) 14th general assembly elected Ahmet Özkayan as President. We wish success to Şahin Paslanmaz and thank you for choosing Ermaksan to enhance your metal processing capabilities. 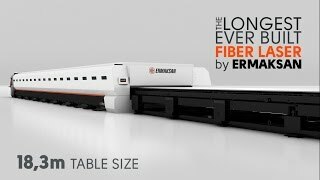 JML Company (in France) chose Ermaksan's 8 m fiber laser machine. We wish them good benefits. One of the biggest company in sheet metal industry in South Africa TECHNIPUNCH enlarged their production capacity by ERMAKSAN FIBERMAK Momentum Gen-3 laser cutting machine We thank to TECHNIPUNCH Company walking on the same path with us! La ferronnerie de l’Isère Company located at Artas City in France strengthened their production line with our high-tech product Fibermak Momentum Gen-3 Fiber Laser Cutting Machine. We thank to La ferronnerie de l’Isère Company walking on the same path with us! Ermaksan is proud to announce that we have successfully installed the first Fibermak in India. Fibermak Momentum Gen3 - 3kw with a bed size of 8x2,6 meters has already started attracting Mr. Vinay’s customers and acquaintances in Pune, a vibrant industrial city in Maharashtra, India. Ermaksan Machinery is honored and pleased by your visit to its booth in Mactech Fair in Egypt.Thanks! Visit us and discover the latest innovative technologies from Ermaksan. Ermaksan Heavy Duty Press Brakes meet the needs of all sectors engaged in the production of heavy machinery such as transportation, wind turbines, power lants, and the defence industry. This time, Ermaksan exposed its enviroment friendly and desing awarded innovative technology machines on Far East. Ermaksan’s products received great attention by exhibitors on the exhibitions that held in Thailand and Malaysia. Ermaksan exports its 750 personnel experience and dynamism combined innovative Technologies to 70 countries; from Canada to New Zealand. Ermaksan, who carries its products beyond boundaries by participating in exhibitions, carried the Turkish Flag on Far East by participating in Thailand and Malaysia Exhibitions. General Manager of Ermaksan Mr. Ahmet OZKAYAN stated that; Ermaksan’s ambition is to become a technology producing company in Turkey and World and said that they have moved their innovative technology products to Far East market by participating in Thailand and Malaysia exhibitions. Mr. OZKAYAN continued his statement, adding that Ermaksan showed its new generation Fiber Laser FIBERMAK and EVO II Hybrid Press Brake, and ,just as the same as other fairs, this two machines have received great attention by visitors and concluded positive meetings about future in Thailand Exhibition. Mr. OZKAYAN said, they have managed to show Ermaksan’s Fibermak and SpeedBend Syncrhonized Hydraulic Press Brake to Sector representatives in one of the most important countries in Far East, Malaysia and both machines received great interest. Those two machines have been sold, stated Mr. OZKAYAN, and they are going back to Turkey with new orders. Ermaksan’s products received agenda on media corporations as well as visitors of the exhibitions. Ermaksan, which exports its machines to all around the World, exposes its half century experienced innovatice technology products by participating in international exhibitions. Ermaksan received great interest with its machines CNC HVR Hydraulic Guilottine Shear, SpeedBend Press Brake, EPL Plasma Cutting Machine and Fibermak Fiber Optic Laser Cutting Machine in ITM Poland Exhibition which is one of most important and leading exhibition, was held in Poznan – Poland. General Manager of Ermaksan, Mr. Ahmet OZKAYAN stated that as Ermaksan, they are participating more than 30 international exhibitions annualy. Mr. OZKAYAN continued his statement adding that international fairs are key to get in contact with new customers and joining new markets, and now Ermaksan is quite happy to return back to Turkey with new business connections. Mr.OZKAYAN also stated that Ermaksan have come together with its existing customer at the fair and sold more than 10 machines as well as new purchase orders, and Ermaksan is going to participate in the ITM Poland Exhibition next year as well. Ermaksan who shapes the sheet metal as the sector itselft with its 50 years of experience, have met its Professional visitors and customers on 19Th International Machine Manufacturing and Metal Working Technologies Exhibition, with a variety of 10 different products from EVO II to Fibermak. Ermaksan exposes its innovative Technologies and experience on machine manufacturing with various fairs taking place through the year. Ermaksan took its place on 19Th International Machine Manufacturing and Metal Working Technologies Exhibition, which is an important activity for Turkey and Euroasia region on Manufacturing Sector. General Manager of Ermaksan, Mr. Ahmet OZKAYAN stated that they have given importance to WIN Fair, as this fair is a perfect chance to expose the latest Technologies. Mr. OZKAYAN stated that Ermaksan participated the fair with Fibermak Laser Cutting Machine, ETP Turret Punch Press, EVO II Press Brake, PowerBend Pro Press Brake, CNC HVR Guilottine Shear, EKM Combiner Shear, EKN-6 Corner Notcher and EPL Plasma Cutting Machine and already sold over 30 machines therefore clinching the trustworthy brand value of Ermaksan in the sector. 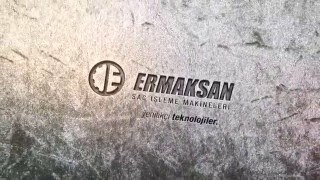 Ermaksan, who is one of the Turkey’s and World’s leading company in production of sheet metal working machineries, has succeeded to wave Turkish machine industry’s flag in the international area by getting 3 awards in 2 different international design competitions, which are GoodDesign and IF Design Awards. Over 700 products from 38 countries have joined GoodDesign competition and Ermaksan was the only company, who succeeded to win 2 awards in the industrial area; with both EVO II hybrid press brake and Fibermak laser cutting machine in their own category. Ermaksan has deemed worthy to IF’s Best Design Award, which has international prestige and recognition, with their Fibermak laser cutting machine as well as their 2 awards from GoodDesign. General Manager of Ermaksan Mr. Ahmet Özkayan has mentioned that, they are happy and proud to be crowned their half century experience in industry with such kind of prestigious awards. Mr. Özkayan expressed that, Ermaksan is producing high-tech and rigid machines; and also mentioned that, it is need to be pay attention of design in order to be noticed and to be branding design in global competition of the world. He also stated that ; It is a matter of preference in machinery sector that, not only quality and rigidity anymore, but also ergonomy and aesthetics. With this awareness, they succeeded to make a difference, in making innovations in machine designs which conducted with Ermaksan R&D design team and professional advisors, he said. It has been a great pleasure and motivation for themselves, to get certified of this achievement by the world’s most prestigious design awards, he stated. Mr. Özkayan also underlined that; those awards are not just a coincidence and their EVO II hybrid press brake and Fibermak laser cutting machine products are preferable products with their benefits for industrial companies and also innovative technologies for environmental care. Mr. Özkayan added that, these awards has strenghtened theirselves further regarding production of innovative steel technologies. GoodDesign, established in 1950 in Chicago, is known as the world’s most essential and well-known design program. Ermaksan from Bursa / Turkey have earned significant reputation with their 2 products in GoodDesing 2013, which is helding by “The Chicago Athenaeum Museum” since 1950 with 19 different categories and seen as a symbol of international design. Again, in the IF’s Design Award, which is given since 1953 and known as one of the most important design competition of the world; Ermaksan’s state of art Fibermak laser cutting machine has awarded as the Best Product Design Award. Ermaksan Machinery Company exhibits on 21 - 25 th January 2014 at the Swissbau 2014 Fair in Basel / Switzerland. Ermaksan Machinery Company exhibits on 05 - 08 th November 2013 at the Blechexpo Fair in Stuttgart / Germany. We are exhibiting at 55th MSV Engineering Fair in Brno/Czech Republic. Turkey is MSV 2013 partner country and you will find Ermaksan at Turkish Pavilion which is hall Z.
Ermaksan Machinery company exhibits on 16-21 th September 2013 at the EMO Fair in Hannover / Germany. Ermaksan'ın sponsorluğunda gerçekleştirilen Bursa’nın önde gelen iş adamları kuruluşlarından biri olan Balkan Rumeli Sanayicileri ve İş Adamları Derneği (BALKANSİAD), geleneksel iftar yemeğinde iş, siyaset ve devlet protokolünü buluşturdu. We had a very successful fair in POZnan, Poland between 04-07 June 2013. Ermaksan Machinery attracted great attention with the latest technology products at Metalobrabotka (Held in Moscow, Russia) is one of Europe's largest sheet metal working exhibition. Fibermak; it starts material cutting faster with fast piercing which is provided by its high technology cutting head. It provides accurate cuts with its height cencor by having sensitivity to the fluctuations on the sheet. Fibermak; in addition to the high quality and accurate cuts you can reach high speed and burr free surfaces on the different type of materials such as mild steel, aluminum, stainless steel, copper and brass. Europe Area Sales Manager Mr. Serhan SENYURT of ERMAKSAN hosted by EuroMetalli Magazine at successfully passed FINNTEC fair in Finland. Detailed information concerning victory strategy of ERMAKSAN Machinery and FIBERMAK (Fiber Laser Cutting Machine) has been written up at the editorial published at EuroMetalli Magazine – expert on sheet metal sector. 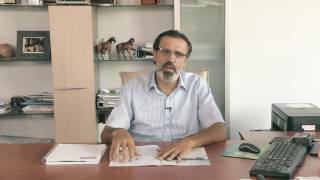 9-10 Mayıs 2012 tarihleri arasında Uludağ Üniversitesinde gerçekleşecek olan "Kariyer Günleri 2012" etkinliğine siz değerli öğrencilerimizi standımıza bekliyoruz. On april issue of International Sheet Metal Review (ISMR) was published news about organization of Ermaksan Launch 2012. Ermaksan hosted in its Factory 200 visitors from 40 countries for the Fibermak (Fiber Laser Cutting Machine ) and Evolution (Hybrid Press Brake) Launch between 29.2.2012 - 02.03.2012. Fibermak thanks to its production technology, offering high performance and speed cutting features and special designed Evolution machines with their productive and energy saving features were presented in details. The Organisation was completed with the Gala dinner at Almira Hotel. We as Ermaksan Family ,would like to thank all our guests who participated to our invitation. Lasermak cutting machine is advertised in the popular metal processing magazine FF JOURNAL’s September edition headed with article ‘’NEW IN TOWN’’ and was introduced with its new generation lineer motor technology equipped Lasermak machine. 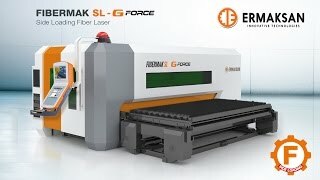 In this article, it is reported that ERMAK USA has made a steady enterance to the North American Laser Machinery market. Our Company has been awarded in the rank 4 at the 2011 Bursa Awards Ceremony which was held on the 1st of June 2011 organised by the International Patent Association in Patent , Brand Name , Beneficial Model, Industrial Design categories. The Award has been carried off by Mr. Ahmet ÖZKAYAN, the Vice Chairman of the Board of Directors at Ermaksan Machine. 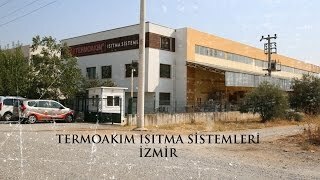 42 years ago by Erol Ozkayan Ermaksan established a small workshop to produce parts for looms, 700 employees today, 70 thousand square meters covered area of ​​the art came from a company that produces sheet metal processing machines.